Gene transcription is providing scientists with a window into how brains keep time. Neurons keep time. These brain cells – which are responsible for the brain’s “heavy lifting,” from information processing to memory formation – seem to "know" how long they’ve been exposed to sensory stimulation. Now, scientists are starting to understand how they do this. Neurobiology Professor Ramen Saha recently identified an important component of the brain’s timekeeping machinery, a major breakthrough that made the cover of the journal Neuron — the first time the prestigious journal has published a study by an incumbent UC Merced faculty member. Collaborating with researchers at Harvard University and the National Institutes of Health, Saha discovered that neurons exposed to sensory stimulation — flashes of light for example — could tell how long the stimulus lasted and transcribe different genes in response. For those of us who’ve been away from the biology classroom for a while, gene transcription may be little more than a foggy memory. Transcription serves as a kind of molecular Xerox — the cell’s way of copying information encoded in genes so it can be delivered to other parts of the cell. 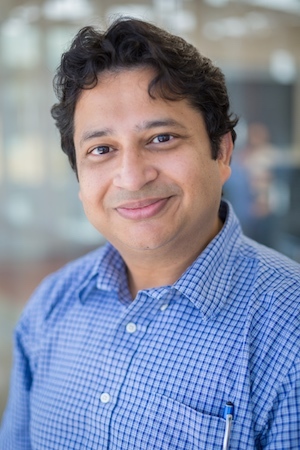 Though studies of transcription are ubiquitous, the new paper is a breakthrough because Saha and his collaborators found that transcription helps brains keep time. “This paper, for the first time, tells us that neurons can distinguish incoming sensory information based on its duration,” Saha said. “Neurons were found to transcribe different genes depending on the duration of the stimulus." When the researchers exposed neurons to prolonged stimulation — activity lasting tens of minutes to many hours — the neurons transcribed three distinct sets of genes at three different times. In contrast, neurons that were stimulated only briefly — a few seconds to a few minutes — transcribed just one set of genes soon after the stimulation began. This held true for neurons cultured in petri dishes as well as those found in lab rats’ brains. This is the first time scientists have identified a direct link between the duration of brain activity and distinct waves of gene transcription. Perhaps most surprising was that scientists were able to infer a neuron’s activity history by looking at its transcriptional activity at a later time. “We could look at the neuron’s transcriptional readout and we were able to say whether it experienced brief or prolonged stimulation,” Saha said. But time wasn’t the only dimension that mattered. The three waves of transcription were also reflected in the brain’s physical structure. 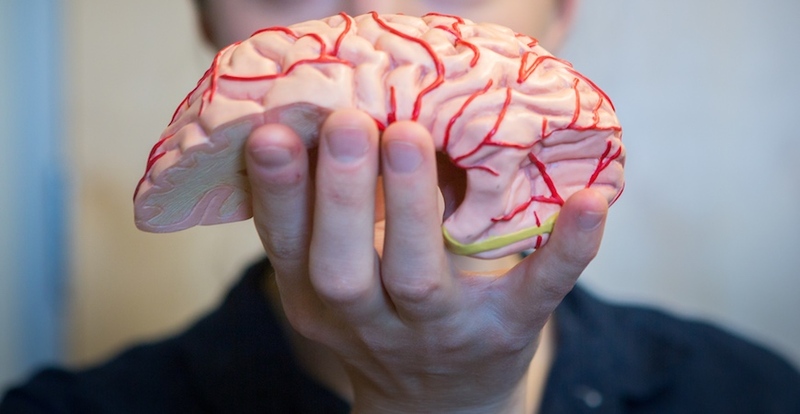 Brains are stratified — kind of like a layer-cake — with six discernible layers of neurons. The new study found that the layers can decode temporal information differently. Deeper layers were found to respond to brief bursts of stimulation, and genes were transcribed almost immediately in response. In contrast, upper layers responded to prolonged stimulation, with transcription occurring only after neurons had been active for a long time. Though the new study links timekeeping to neural activity, brain structure and genetics, it raises other important questions that the researchers intend to seek.